Our dentists in Monterrey offer affordable, high-quality dental care in a convenient location not too far away from the Texas border. Find out how to book a reliable, quality-checked dentist you can rely on with Dental Departures. Monterrey has a strong entrepreneurial culture and business climate. It is a modern city, and although there are some sights of the old Spanish colonial era in the Barrio Antiguo district, it is has embraced the new with cutting-edge contemporary architecture, international cuisine and high-speed broadband being more common than it is in some areas of the U.S. In comparison to many other parts of Mexico, Monterrey’s residents are quite wealthy and are likely to work in banking, health, education and telecommunications rather than factories or industries such as glass or concrete. It is a city that likes to work hard and play hard and it offers much in terms of culture and entertainment. Unfortunately, from being one of the safest cities in Mexico, the last few years have seen an upsurge in drug-related violence, which now seems to be subsiding. During the day Monterrey is safe, but there are places to avoid at night. 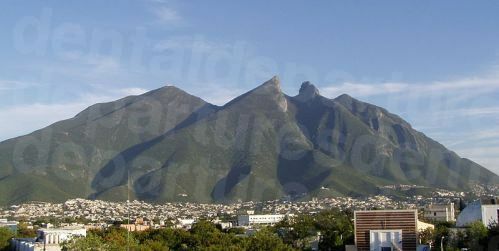 Monterrey is in the northeastern Mexico state of Nuevo Leon, some 140 miles from the nearest border crossing with Texas. Why Visit a Dentist in Monterrey? Depending on where you live, Monterrey may be perfect if you want somewhere relatively convenient and quick to get to for your dental care. International flights arrive from across North America and Canada daily to Monterrey’s General Mariano Escobedo International Airport. Monterrey’s healthcare standards are above Mexico’s average. It has a highly ranked medical infrastructure with a number of JCI-accredited institutions demonstrating an impressive health sector that can compete with the world’s best. A modern city, you can be sure that every convenience you can think of is never far away. This is certainly something to bear in mind if you have had extensive dental work and don’t really feel up to doing much. Monterrey offers visitors a wealth of options for places to stay and top international hotel chains including Sheraton, Holiday Inn and Intercontinental are all represented here. Some of our dentists offer discounts or free stays at local hotels, depending on the nature of your treatment, so please ask us about this when you book. Monterrey has rarely been caught up in narco-violence that has marred some other locations in Mexico. Even in isolated years when there has been some violence, tourists are rarely targeted and areas like the Barrio Antiguo and Macroplaza remain pleasant and safe. 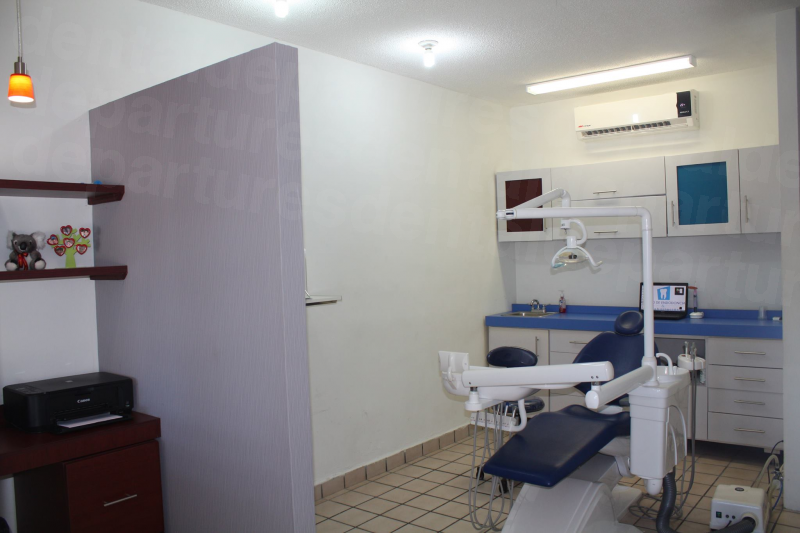 You can discover quality dentists in Monterrey; providing you choose your dentist carefully there is no reason why you shouldn’t be overjoyed with your dental care here. This is where choosing a dentist with Dental Departures will help you find a reliable and trustworthy dentist, whose skill and expertise has been verified with our background checks. Dentist training in Mexico is very good, but there is no requirement like there is in the US, Canada and other Western nations to undertake further specialist dentist training after qualifying as a general dentist. In reality, dentists who want to be seen as trustworthy and reliable do tend to undergo specialist training or board certification, usually in the United States. Many Monterrey dentists who treat international patients see this as necessary in order to offer their patients a service that is dependable. Dentists in Monterrey are also in competition with each other to attract patients. It is in their interests to offer the best services, which is why demonstrable indicators of quality, such as training and qualifications, are particularly important. High-quality services attract more patients, which in turn brings in more money, which is good for any business. 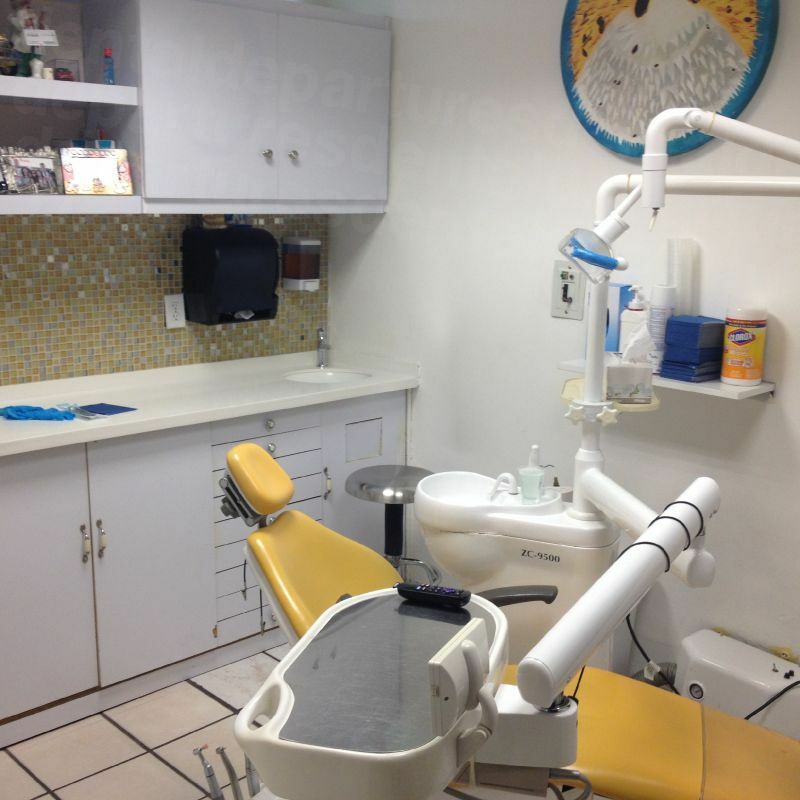 All our dentists in Mexico have warranties and guarantees on the work they perform and on any materials that are used. However, occasionally things can go wrong. Thankfully, this is an extremely rare occurrence but is one that Dental Departures is particularly keen to put right. As part of our commitment to customer care, we ensure that any problems are dealt with, and will act on your behalf to see that they are. For your extra peace of mind, if you are worried about the cost of travel expenses in traveling back to your dentist in Monterrey we have got together with some insurance providers who can provide additional cover this scenario for a reasonable premium. Our top dentists and staff in Monterrey speak fluent English, and generally throughout the city the large majority of people speak English as well, so Spanish is not necessary. Payment methods accepted do differ from clinic to clinic, and it is best to check each clinic’s preferences on our website. Generally, US cash is accepted everywhere, with debit cards, personal and traveler’s checks accepted by most dental clinics too. Credit card payments are usually subject to a processing fee of around 3–4%. Your dentist in Monterrey cannot claim on your insurance. However, if your insurance company provides ‘out-of-network’ care you should be able to reclaim the cost of your treatment when you return home. Before you travel you should check with your insurance provider, making sure to obtain the appropriate forms to bring with you to Monterrey for your dentist to complete. Additional ways to save money may be by claiming tax deductions which you might be eligible for. Although these vary from year to year, American, Canadian and Australians should check with their tax authority. Our dentists are open all year and you can visit at any time that suits you. 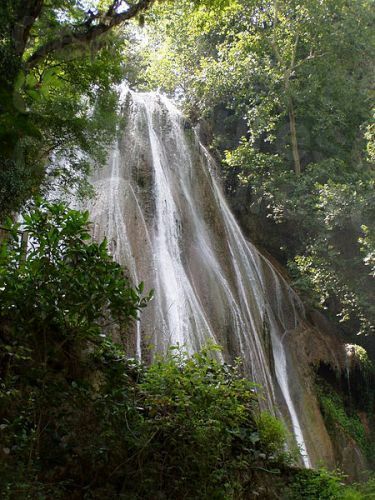 The weather in Monterrey is semi-arid, and it is known for having pretty high temperatures in the summer months – the average high in August is 95F (35C) but it can get hotter than this – and the warm season may start as early as February and last until September. January and February tend to be the coldest months, but temperatures can fluctuate wildly. Snow is a rare thing, and there was a large snowfall in January 1967, and ice as recently as 2011, but average the temperature in January is 70F (21C). A lot of Monterrey’s newer hotels are all wheelchair friendly, and there are certain areas throughout the city, such as the shopping malls, where it is easy to get around. Getting between these areas may prove to be a little more of a problem so you will have to plan your route in advance. Our dentists usually provide wheelchair-friendly access, and many will be able to provide transport to and from your appointment. Please speak to us about your requirements as we can always get you to one of our great dentists. While the violence in the area appears to have subsided significantly it is still worth being vigilant and to avoid taking unnecessary risks. 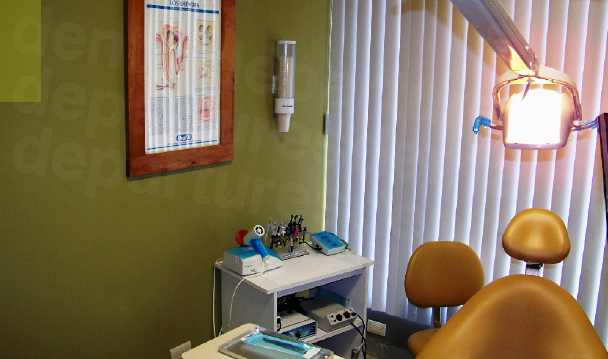 Dental patients should also be aware that sedation dentistry is not standard in Mexico. If local anesthesia is not going to be enough for you then you will need to let us know in advance so we can ask your dentist to arrange for an anesthetist. This carries an additional fee of between $400-$600. What Else is There around Town? Wherever you are staying in town you will find attractions and activities in your immediate vicinity. The Zona Rosa in town contains the Barrio Antiguo which provides a glimpse into the old Monterrey with its colonial buildings and cobbled streets. It is full of charming shops and restaurants and on Sundays, local artisans and antique dealers set up tables in the street and sell their wares. The well maintained Parque Fundidora is also in this area, and as well as beautiful grounds to walk in, including programs of various activities, and fantastic mountain views. 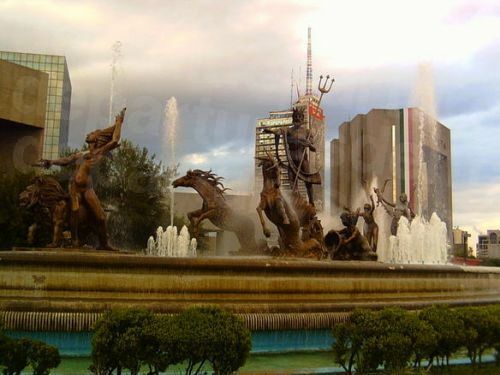 The Macroplaza, or town square, is one of the world’s biggest and features a number of monuments, buildings and pedestrian zones, and from here the Museum of Contemporary Art of Monterrey (MARCO), the Cathedral and the Museum of Mexican History are easy to reach. The garden district to the West is filled with many parks and is home to the Obispado neighborhood which affords fantastic views over the city. A zoo and the Bosque Magico amusement park in Guadalupe and San Pedro Garza Garcia provide many accommodation options and restaurants. The airport is only about a 20-minute drive away from downtown Monterrey. Call us toll-free or book an appointment online. You can get free quotes, view clinic photos, take virtual tours, read real patient reviews and find exclusive promotions on our website. 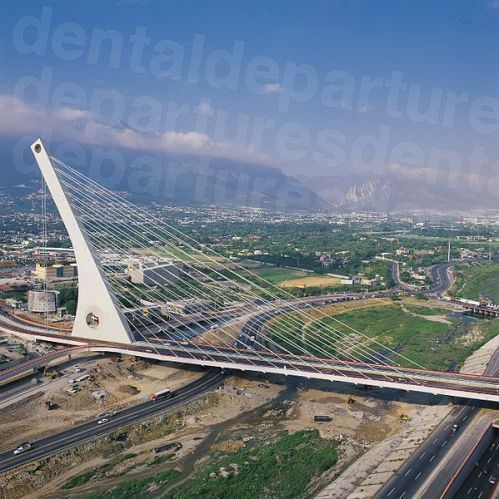 Discover fantastic quality dental care in Monterrey for a great price with Dental Departures. Monterrey. Lonely Planet. Website accessed 23 November 2018. https://www.lonelyplanet.com/mexico/northeast-mexico/monterrey/safety.